We are still hours away from the start of WWDC 2010 Keynote and already the line outside Moscone West in San Francisco is already around the building. 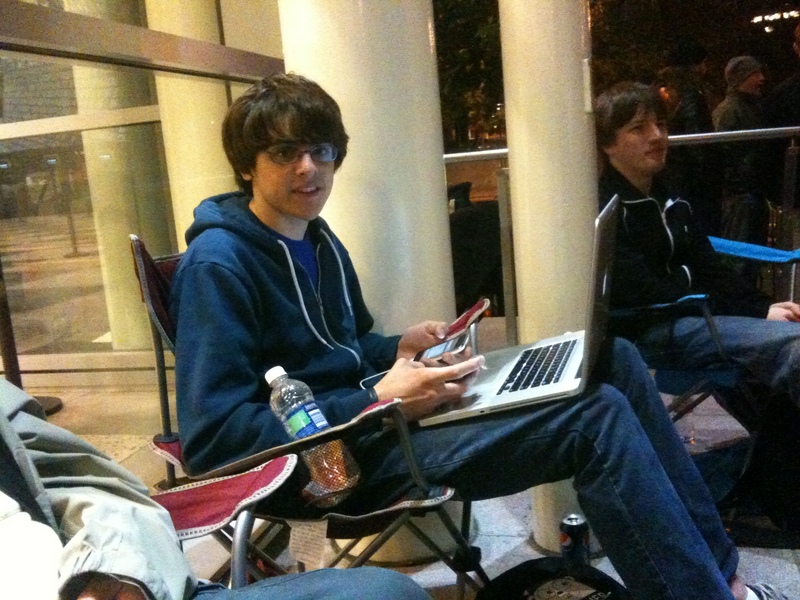 People have already started to camp out with chairs and their MacBooks in the build up to the event, you can see an example of this in the image here. The event has already sold out, but they have been queuing up to get in the doors before others begin to arrive. Twitter has been going crazy, as those waiting in line have been sending tweets about what is going on. Most of them are saying standing or sitting in the line, while others are saying that they should not worry where they are in line as there is more than enough space in the center for all who attend to move around. A number of those in line have noticed how the AT&T network has started to feel the strain ahead of the Worldwide Developers conference, some stating that they may not be able to send any more images through the cell phone carrier. An update has come in that the line stretches three and a half times round the building already — we wonder is this is the busiest WWDC event yet? For those of you in line please let us know your experiences as you wait around for the doors to open.